August 8, 2016, Detroit, Michigan – Many people might write off Detroit as a “lost cause” because of the well-known poverty and violence afflicting this town. 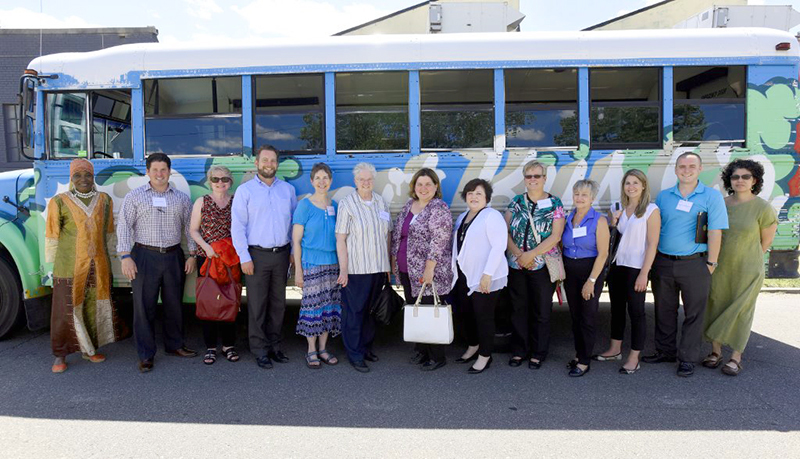 However, Lura Mack and Kristine Cooper, director and executive assistant, respectively, of the Adrian Dominican Sisters’ Portfolio Advisory Board (PAB), spent a day visiting a variety of organizations that have made a difference for the individuals and communities in this troubled city. 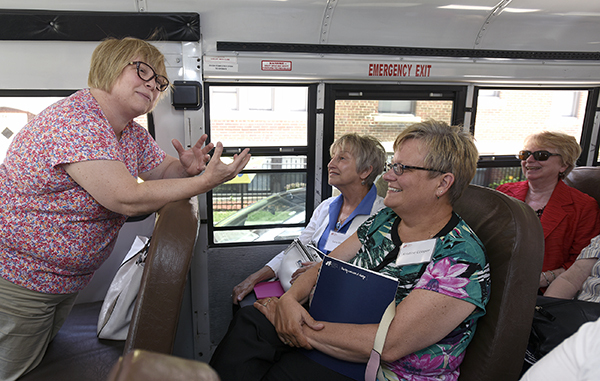 Lisa Johanan, Executive Director of CDC (Central Detroit Christian Community Development Center), speaks with Lura Mack and Kris Cooper during the IFF Detroit site visit. 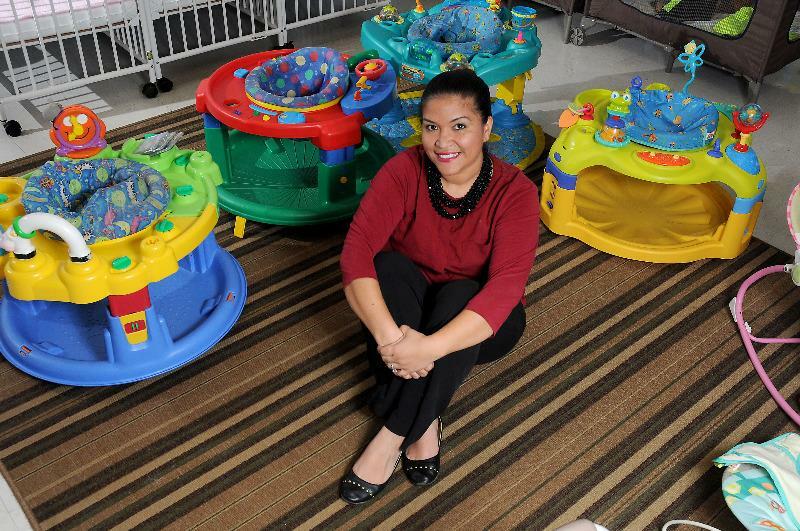 The Detroit Hispanic Development Corporation (DHCD), begun in 1979 by Angela Reyes in response to the violence in her community, serves more than 5,000 low-income people. DHCD’s first initiative was the Gang Retirement and Continuing Education and Employment Program (GRACE),which helps gang members to turn their lives around and work in local Hispanic-owned manufacturing companies. The organization also provides bilingual support, child care support, community organization, and advocacy to bring about a change in policies that affect the people in the local community. 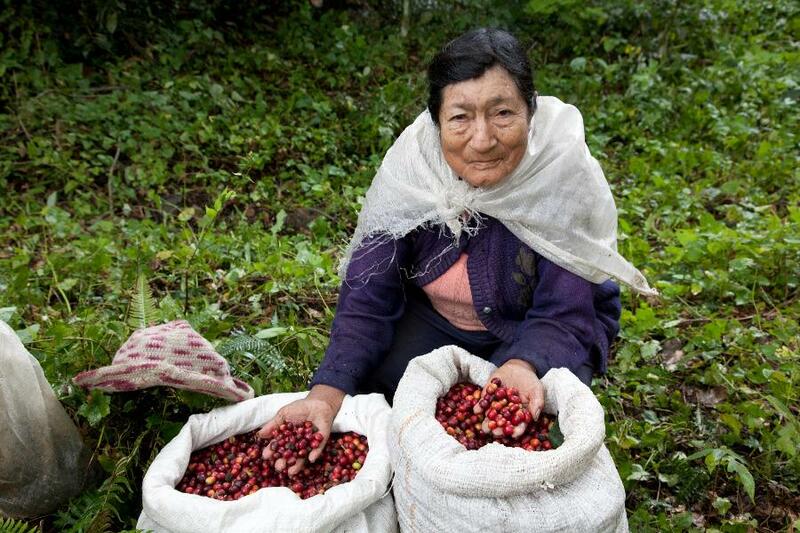 Through a loan from IFF, the organization was able to refinance its existing debts. Central Detroit Christian Community Development Corporation (CDC), founded in 1994 by six local churches, provides people in the community with positive opportunities through education, employment, and economic development. The CDC purchased 11 businesses and now operates eight of them to create jobs and provide needed goods and services. A loan from IFF helped to cover renovation costs for a vacant church that now serves as CDC’s home. Detroit’s Downtown Boxing Gym (DBG) Youth Program, founded in 2007 by Carlo Sweeney, helps urban boys and girls to develop good citizenship through a “demanding boxing program, strong academic support, and volunteer work.” Children in the program – ages seven to 18 – receive tutoring, mentoring, physical training, transportation, and a daily meal and, in turn are required to continue improving their academic performance. The loan from IFF allowed DBG to renovate a vacant building to provide services to more youth. IFF Detroit who went on the site visits. The bus was from the Detroit Bus Company. IFF Detroit, visit staff members at the Detroit Hispanic Development Corporation. 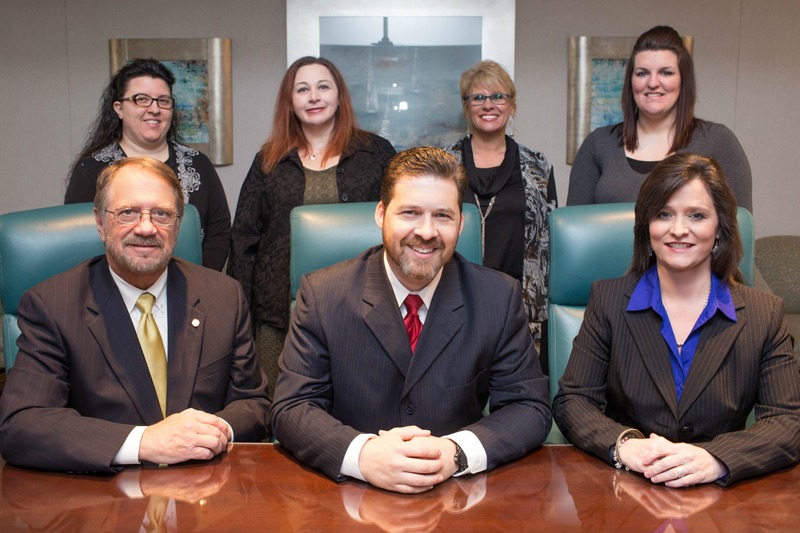 Staff members of the Citizen Potawatomi Community Development Corporation, located in Shawnee, Oklahoma. Morro Del Mar, a 21-unit tax credit rental project for seniors, is located in Morro Bay, California. San Luis Obispo County Housing Trust Fund (SLOCHTF). Founded in 2003, this non-profit organization makes loan funds available to very low through moderate-income residents of San Obispo County, California, filling a niche between financing offered by banks and government housing programs. The Housing Trust Fund offers more flexible and favorable terms than banks and is generally more responsive and flexible than government housing programs. The Congregation has already made a loan to SLOCHTF; the recently-approved loan will be used as loan capital to finance affordable housing projects for lower-income households. Since 2005, when the organization first offered loans, it has provided more than $17 million to finance 641 units of affordable housing. 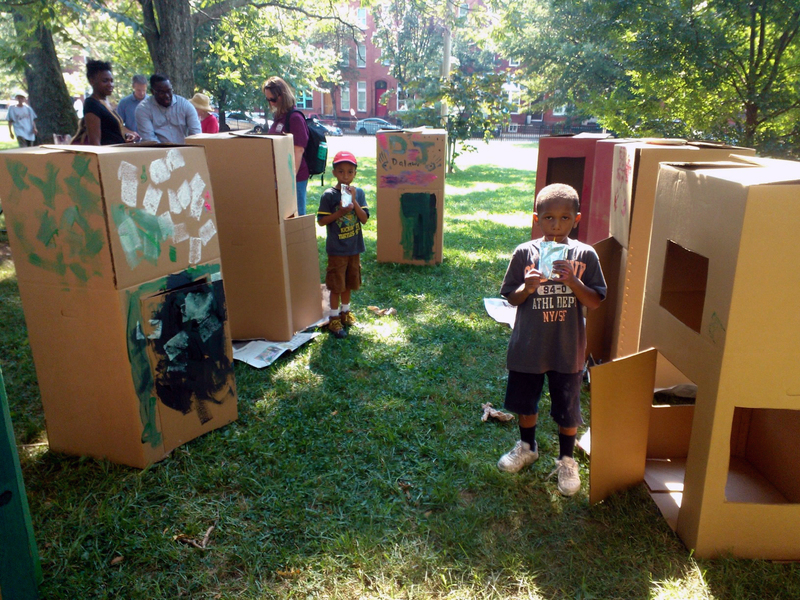 Families take part in National Night Out in August 2015. St. Ambrose Housing Aid Center. St. Ambrose aims to “create, preserve, and maintain equal housing opportunities for low- and moderate-income people primarily in Baltimore City and encourage and support strong and diverse neighborhoods.” The loan from the Adrian Dominican Congregation – with loans from other sources – will support a multi-year, multi-phase project to preserve, stabilize, and expand St. Ambrose’s rental portfolio to provide quality affordable housing to low-income Baltimore households headed by single women with dependent children. The 310 affordable rental units owned and managed by St. Ambrose are a significant source of stability for hundreds of households in Baltimore City and County. 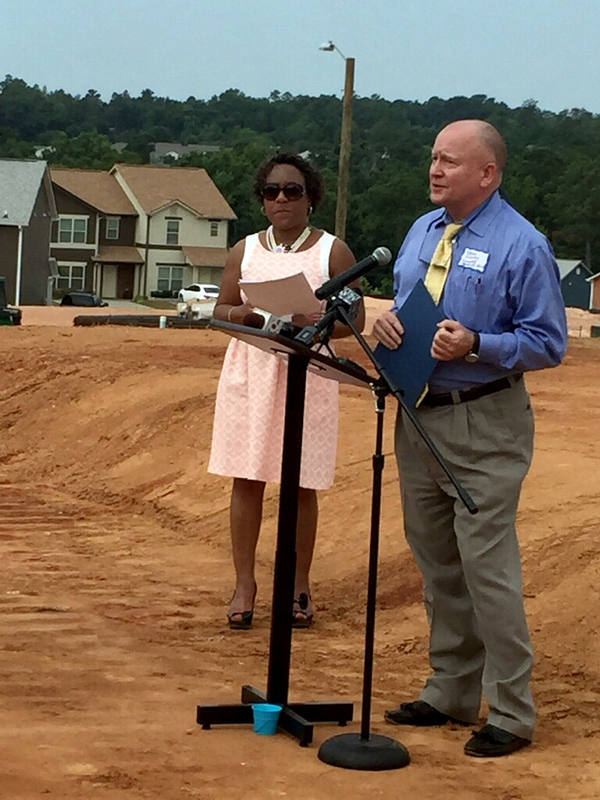 Midlands Housing Trust Fund Executive Director Brian Huskey at the groundbreaking of Phase II of Village at River's Edge, a 124-unit, multi-family tax credit development in Columbia, South Carolina. Midlands Housing Trust Fund (MHTF). This non-profit organization provides financing, technical assistance, and advocacy for the construction, rehabilitation, and preservation of affordable housing in the Midlands of South Carolina. While the Congregation has already invested in a low-interest loan in MHTF, the additional loan will be used to expand the organization’s service area to include 15 counties, most of which are rural with high rates of poverty. The Congregation’s loan will be used in areas which have no other funding. When formerly rent-burdened households receive access to affordable housing, they have more money to spend on other necessities, such as transportation, health care, food and clothing. Midlands places high priority on lending for the creation of permanent service-enriched housing for individuals and families who are homeless. Founded more than 40 years ago, the PAB was a response to the Adrian Dominican Sisters’ vision for social change. Firmly rooted in the tradition of Catholic social teachings, the PAB helps the Congregation to advocate for social justice in two ways. Through Community Investments work, the PAB offers low-interest loans to non-profit community organizations that benefit low-income people and underserved communities. The PAB Corporate Responsibility arm monitors the Congregation’s investments and engages in shareholder activities on matters of justice involving corporations in which the Congregation invests. Feature photo: Members of the St. Ambrose community get ready to volunteer for YouthWorks. On July 20, 2016, a Dow shareholder meeting was called for members to vote on the company’s merger with DuPont. The Adrian Dominican Sisters — shareholders who also represent shareholders from Pesticide Action Network, Interfaith Center on Corporate Responsibility, and Trillium Asset Management — attempted to present their concerns about the risks and impact of the merger. However, the meeting was tightly controlled and no one other than the CEO and the Corporate Secretary were permitted to speak. Read more in this PAN press release, which also includes comments from Margaret Weber, member of the Portfolio Advisory Board for the Adrian Dominican Sisters.